A repeat customer in Northern Liberties recently decided to have under cabinet lights installed. 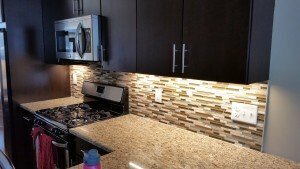 After a brief consultation we came to the conclusion to use three separate LED Light strips. Wiring was installed to two locations and the third strip was connected with a joiner piece. 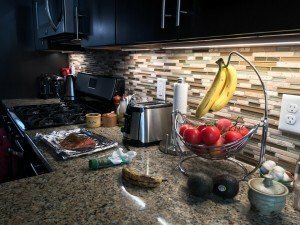 We also installed an outlet above the cabinet for a speaker. The customers are very happy. They have given us a review on yelp and google and also put us on Instagram. The pictures show the final result. 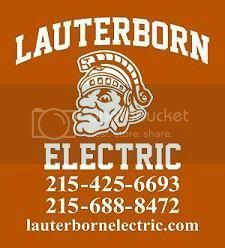 For all your electrical needs contact your Philadelphia licensed electricians Lauterborn Electric. Click Images to Enlarge.